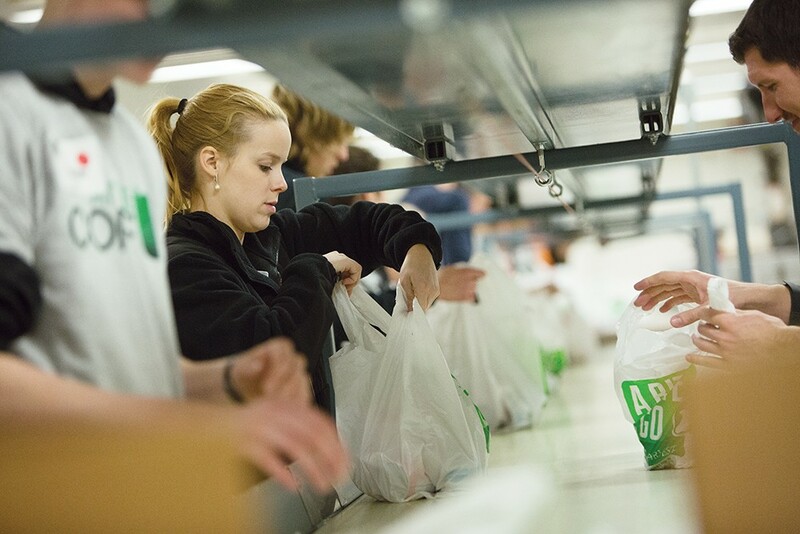 Volunteers sort donations at 2nd Harvest. An organization in Spokane can use your help. You're ready to share your gifts. So how can you find each other? One way is through the United Way's Volunteer Spokane website, which lists opportunities from 346 local organizations, offering up nearly 400 opportunities. Once on the website, users can create a profile to receive emails for postings that dovetail with their interests. Or, they can begin browsing the listings, which are regularly updated and include both long-term and immediate needs, by searching for keywords and using various filters. For example, say you're a teen who needs to do some community service. Plugging in your age will produce three pages of listings, including needs for everything from dog huggers to food packers at the food bank. If you're a 40-year-old looking for an outdoor opportunity, an urban farming and community development need might be the perfect fit or maybe an emergency fence repair can fill a free afternoon. "The website can also work great for companies looking for group opportunities, and it is not limited to just United Way organizations," says Lisa Curtis, director of communications and marketing for Spokane County United Way. With more than 8,500 users already finding opportunities on the site, "It's been wonderful to watch everyone get engaged," she adds. That engagement can also pay health dividends for volunteers. A 2017 survey by United Healthcare and VolunteerMatch found 93 percent of respondents reported volunteering improved their mood, while 70 percent reported decreased stress and 88 percent reported improved self-esteem.